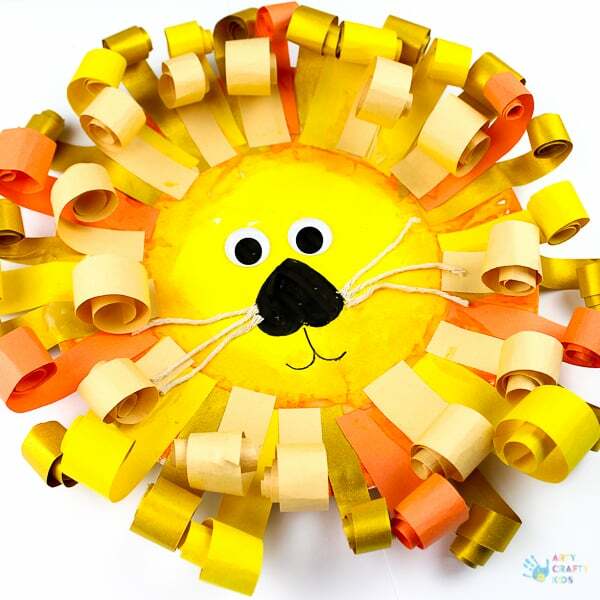 We LOVE lion crafts here at Arty Crafty Kids and have revamped our Mixed Media Lion to create a fresh Paper Plate Lion Craft with a fabulously curly mane. Kids will relish the process of cutting, curling and sticking to form their lion’s bouncy mane, that will naturally lend itself to inspiring some magical creative play. 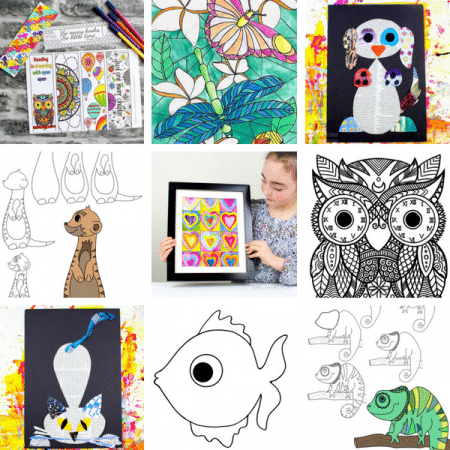 With just a shake shake shake, the rustle and movement will bring the lion to life and have Arty Crafty Kids roaring like a lion in no time! 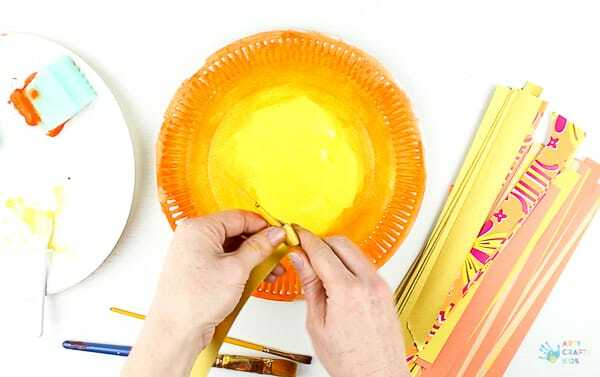 So if you’re planning a trip to the zoo anytime soon, reading any lion themed books or covering animals as a topic within the classroom, then this is a great extension activity that will inspire creativity and imaginations. 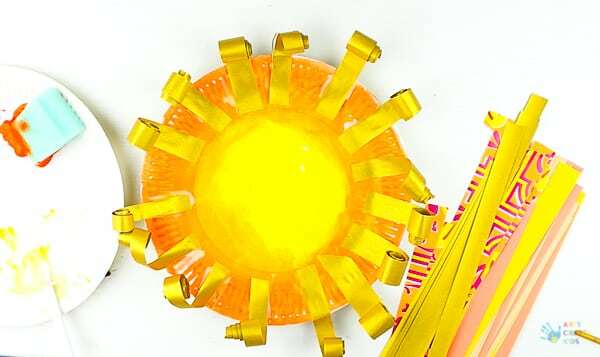 Now that you’ve seen the video, let me tell you the best bit about this Paper Plate Lion Craft – it’s adaptable! No matter how big or small your kids’ hands are, they will find a way to make it their own. Younger Arty Crafty Kids, may prefer to skip the curling element and add the paper as it is and others may choose a mixture of techniques. As well as curled, the paper could also folded in accordian style ( see our Mixed Media Unicorn) or even scrunched up! However your children choose approach this craft, the end result will be the same – PERFECT! 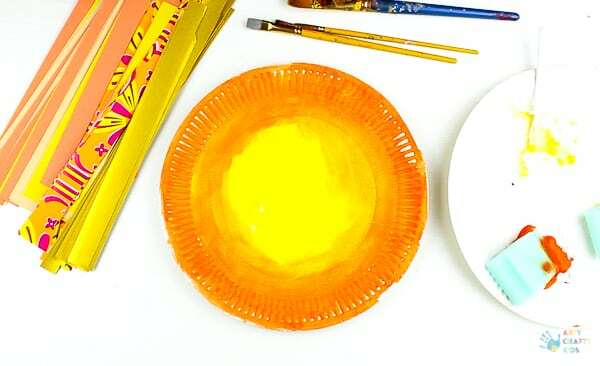 Step 1: Using a sponge, paint the paper plate by lightly dabbing the surface and blending the colours. Step 2: Cut the into strips, varying the width (and length if desired). Using the end of a paint brush or pen/pencil, wrap each strand of paper around the utensil to create a tight coil. Remove the paper by sliding the coil off the paintbrush and let naturally unravel. Step 3: Following the circumference of the paper plate, glue each strand of paper into the paper plate leaving a gap in-between each. Be generous with the application of PVA glue to ensure each strand is securely stuck! Step 4: Repeat the process of Step.3, filling in the gaps of the outer layer and then added a second layer to give the mane some extra bounce and body. Step 5: Complete the lion by adding a black nose, a pair of googly eyes and string for whiskers. Using a black sharpie, add a little lion smile! 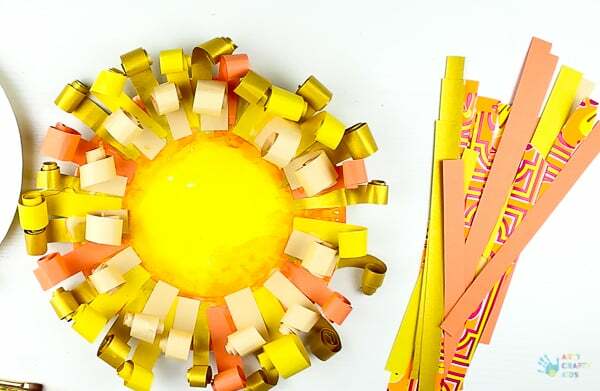 The Curly Paper Plate Lion Craft is now complete! I hope your Arty Crafty Kids have the best time creating their lions! 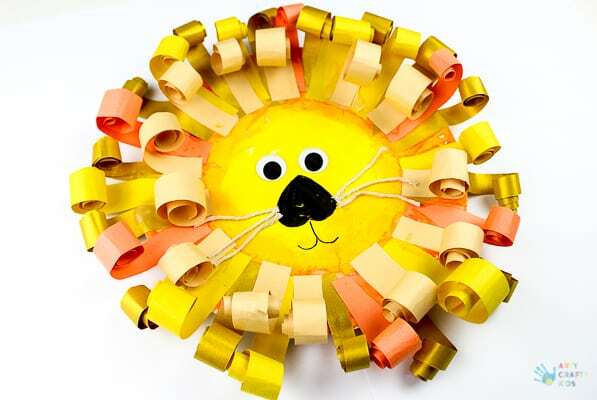 For more crafty inspiration, check out our mixed media lion! 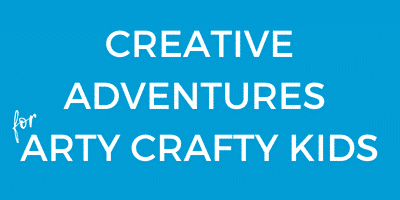 Join the club and have our crafts delievered to your door!